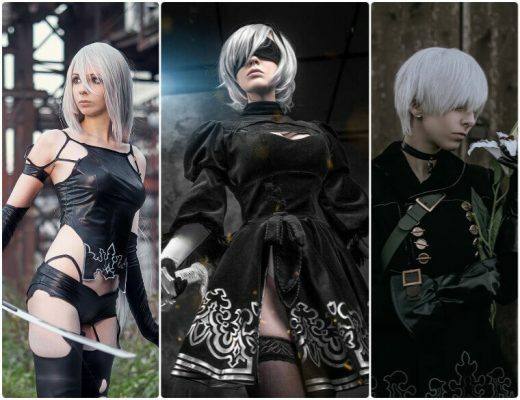 League of Legends is a favorite online multiplayer game that lets gamers play the role of summoner and control champions to battle other champions. The game has close to 150 heroes available, and one of them is Janna The Storm’s Fury. Janna is a ranged hero, which means she fights at a distance. Janna is an elemental wind spirit, which means her skills and abilities make use of wind power. Her abilities make her better suited for the defensive support role, protecting and defending her teammates during a conflict. These abilities make this champion a popular choice for a lot of players when they are playing the game. Janna is also one of the original champions of the game when League of Legends was released. 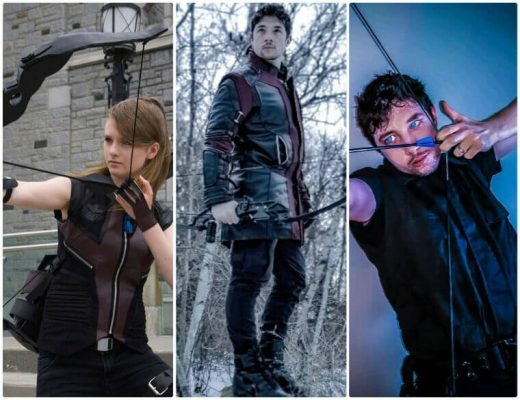 As one of the first heroes available, there are already a lot of different skins or costumes available for Janna that people can use for cosplay. 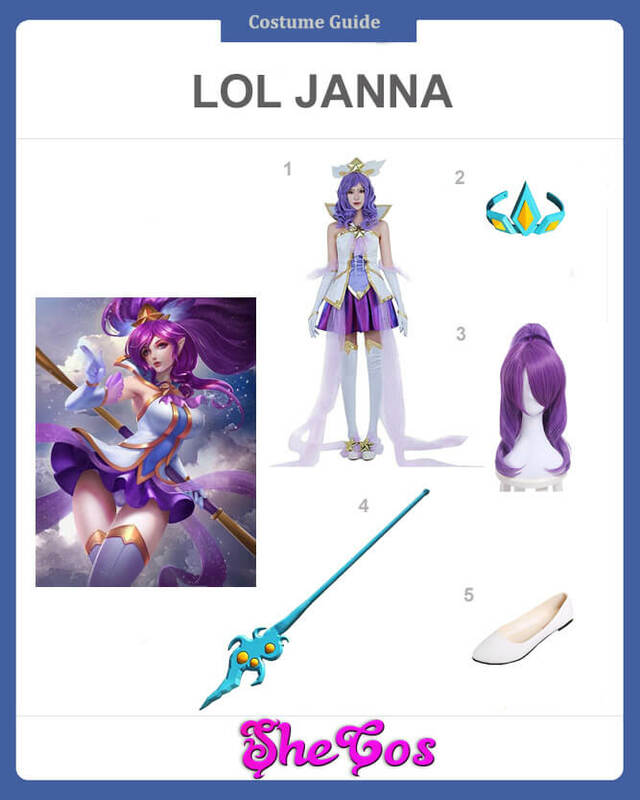 Here it will be a Janna cosplay guide. Janna, The Storm’s Fury, is an elemental wind spirt, which means her skills and abilities are imbued with the power of the wind. It also says that Janna also has the appearance that is a bit similar to that of the goddess of the wind. 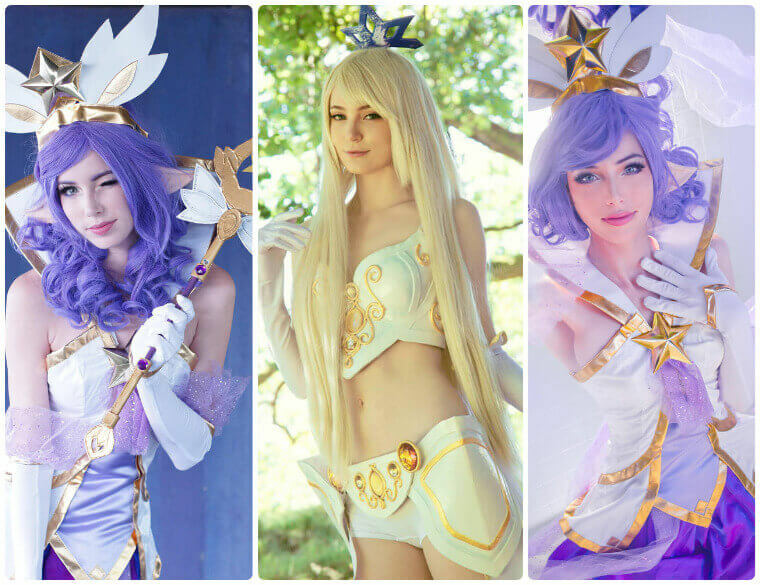 There are several looks or costumes available when dressing up as Janna, but for this cosplay set, the Star Guardian costume will be featured. Janna’s Star Guardian costume consists of a white halter top with a blue design on the middle that has gold outlines and a purple skirt. The top also has see-through cloth extending at the top with two at the front and two at the back. The set also comes with knee-length white socks with gold design at the opening. The costume is completed with a long purple wig for her hairstyle, a Star Guardian headwear, and white shoes. The set will also come with Janna’s original wand as a prop. Janna is an elemental wind spirit that was believed to have come into existence due to the prayers of the sailors of Runeterra. It became a practice for the sailors to pray and implore the wind to provide them with a constant breeze and calm waters during their journey. She started as a bright blue bird that warns sailors. But as her prominence grew, her presence also grew, allowing her to transform into a beautiful woman. Janna is also a famous hero, being part of the top 25 when it comes to popularity. It is one of the top options for people to cosplay Janna when they want to look like League of Legends champions. 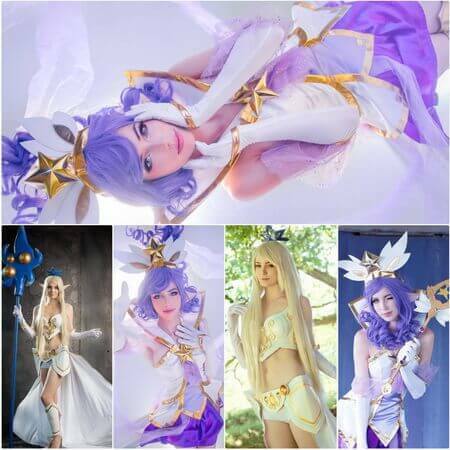 Looking at the Janna cosplay photos, you can see that cosplaying Janna will turn you into a goddess, regardless of her available costume that you decide to wear.